Eat, shop, and tour the riverside city! (SPOT.PH) Marikina, the shoe capital of the Philippines, has always been famous for, well, shoes. But it became more than that when former mayor, ex-MMDA Chairman, and then vice-presidential hopeful Bayani Fernando put it back on the map as an ideal municipality. 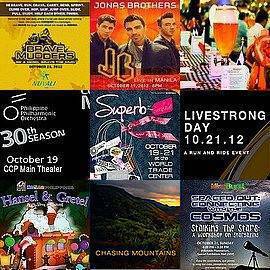 It again made the headlines when tropical storm Ondoy and the recent nameless monsoon flooded the entire valley. But this resilient city is back on its feet. Progressive as ever but, unbelievably, still possessing its own small town charm. 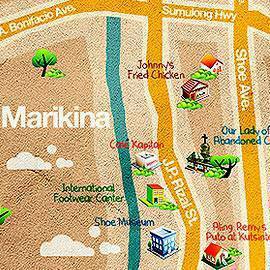 Marikina is most accessible via Aurora Boulevard where you can take the LRT-2 and get off at Katipunan station. Under the Katipunan flyover is a jeepney terminal of sorts where you can take the jeepney to the city center. You can also get off at Santolan station, walk along the overpass to cross Marcos Highway, and take a trike to the city center. 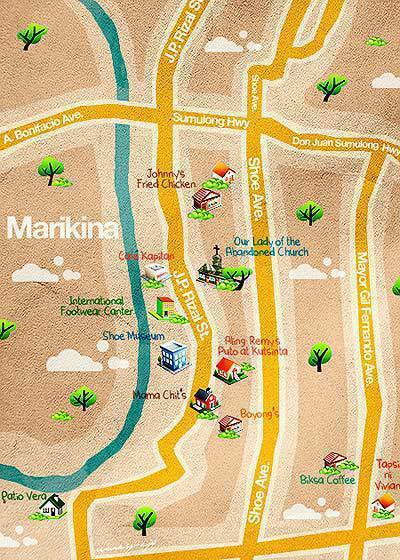 For this neighborhood guide, we'll explore the quiet charms of Marikina. Get a feel of a modern day pueblo where family-run businesses are still the norm and cultural heritage is still ever present. 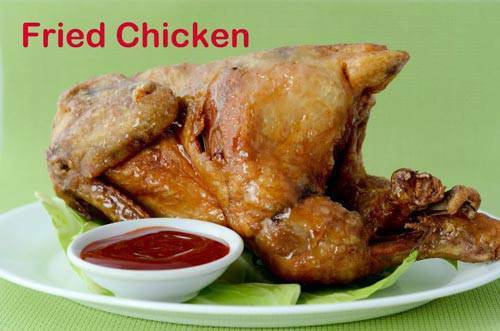 Get a taste of the "fried" of Markina at Johnny's Fried Chicken. Take a bite of the chicken that makes one proud to be a marikenyo. Or so they claim it to be. A little bit pricey at P130 for its quarter chicken rice meal, we agree that Johnny's Fried Chicken can be eaten without a condiment. Though, we'd rather do so with the ketchup it is served with. Their Beef with Oyster Sauce rice meal and Tokwa con Carne rice meal, both at P70 each, are good bets for everyday fare. Open daily from 6 a.m to 8:30 p.m. 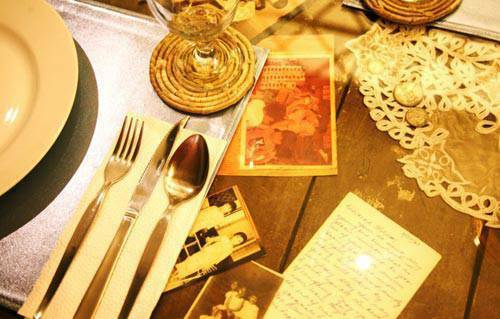 Located at the ground floor of the bahay na bato known as Kapitan Moy, Cafe Kapitan's adobe walls, wooden furniture, and actual table cloths make it a date-worthy place if you want some old-world charm. Share a small pan of their bestselling Paella Valenciana (P525) to keep in line with the Hispanic theme (you should be willing to wait, though, since it takes an hour for them to prepare a pan). Other dishes to try are their Callos con Garvanzos (P179), Blue Marlin ala Pobre (P179), or their Lengua con Cetas (P179). Snack on puto at kutsinta from Aling Remy's Recipes. Slow down a bit when you're looking for this roadside stall because it's quite easy to miss on a road lined with sari-sari stores and whatnots. 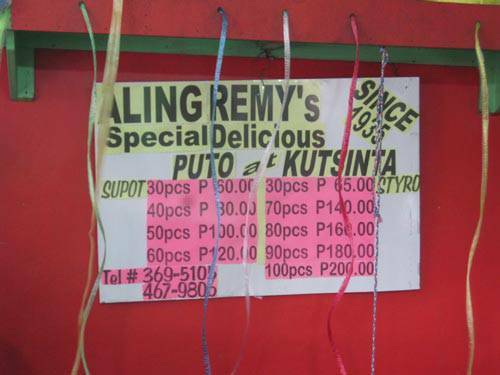 Aling Remy's Special Delicious Puto at Kutsinta claims to be the first to place a sliver of cheese on top of a puto. Is that true? Maybe. Is their puto at kutsinta delish? Absolutely. We almost finished a pack (P65) before we even got off J.P. Rizal St.
Open daily from 7 a.m to 8 p.m.
Go electic at Cafe Lidia. The seeming hodgepodge of design elements in this resto actually works! Part traditional, part modern, and peppered with touches of kitsch, the interiors are homey and inviting. This warmth and a mostly Italian menu is just a winning combination. No wonder we keep on coming back! Partake in a visual and gastronomical feast. Named after the owner's grandmother who spent her life as a shoemaker, Patio Vera is a hidden gem in this part of town. 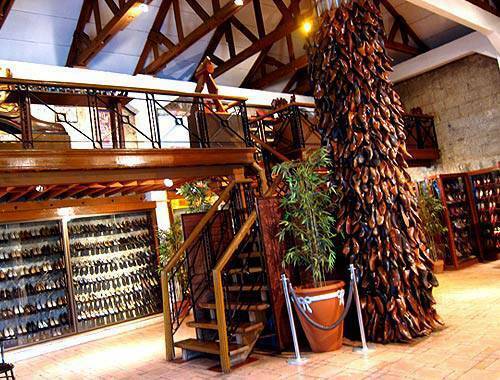 It's beautiful eclectic interiors - angel statues, colossal doors, wooden shoe molds, had its fair share in the glossies as the resto' Filipino Spanish Menu. We recommend starting with a serving of Dinamita (P205)-chorizo and cheese stuffed jalapeno with sweet chili sauce-and then filling up with their version of Pinoy favorite, Chicken and Pork Adobo (P285). End with Grandma's Chocolate Cake (P165). Have breakfast...even in dinner time. At P80, Tapsi ni Vivian’s famous Tapsilog is still affordable and available even at two in the morning. A modern building may now stand in the place of their former shack, but they're still serving the same breakfast favorites like tocilog and longsilog along with a free bowl of bulalo broth. We're partial to their crowd pleasers-crispy pata and lechon kawali-and the fact that there's a lot of staff waiting on us. Enjoy coffee while stalking a comic book artist. 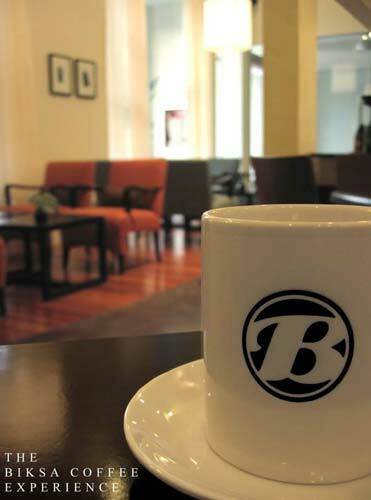 Finish off a filing meal with a cup of coffee at nearby Biksa coffee shop. Sip on their good brew or a glass of passionate strawberry soda while enjoying the white, bright, airy interiors. We love their Cream Dory in Cream Sauce, a dish you might want to try if you're still hungry or actually came over wanting a proper meal. Linger a bit and you might just spot local boy graphic novelist Carlo Vergara writing his next obra maestra. Note: They posted an update on their Facebook page that they would be closed for renovation starting June 2012. We will update this space as soon as we have word of reopening. We absolutely love Bubba Lab’s cheeky theme-think Dexter’s lab, since it’s such a fresh break from the regurgitated ’soothing milk tea’ idea. Their milk tea drinks don’t taste like a lab experiment (though they do occasionally brew their tea using a flask and a Bunsen burner), but rather like that of the better milk tea places. We tried both the Butterscotch Milk Tea (M P75, L P80) and the Strawberry Toffee Milk Tea (M P75, L P85). But getting there is another matter. 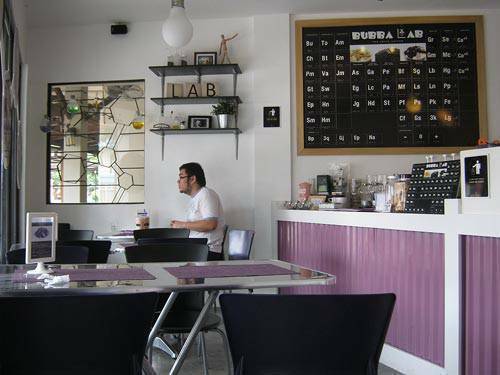 Bubba Lab is in the other side of town, the farther side of Marikina, so we’re hoping they’d open a downtown branch soon. 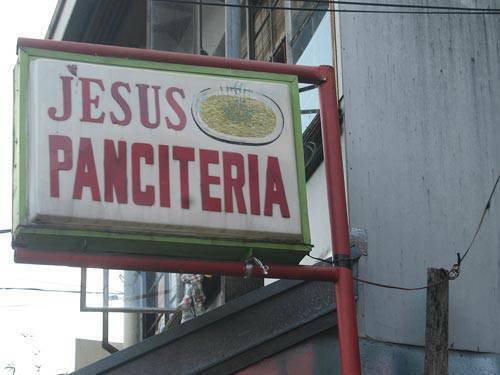 Extension B, C&B Circle Mall, Liwasang Kalayaan Ave.
Look for the sign because you could easily miss Jesus Panciteria. We almost did. Situated on the ground floor of what seems like just another apartment building, this panciteria opened its doors in 1983 and is now an institution around these parts. 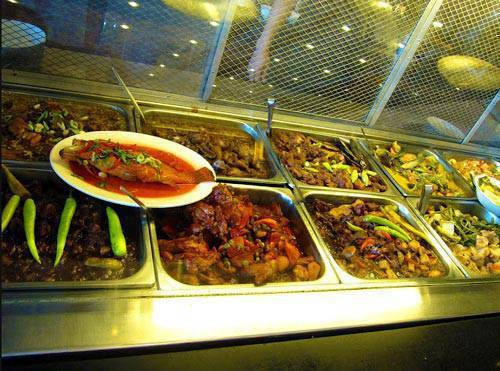 Their good "chinoy" food (pancit, lumpia, chopsuey, among others) is served in "share" portions, so drag along your friends or be prepared to bring home a to-go bag. 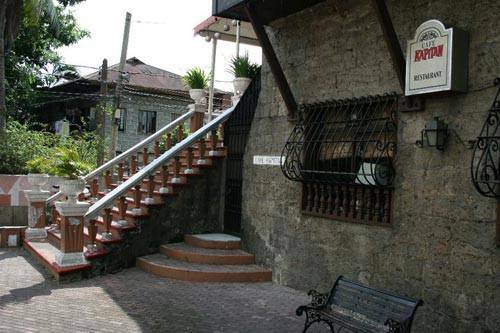 With its sparse eatery feel, Jesus Panciteria is not exactly a date place, but feelo free to take your barkada along. We recommend that you try their Bihon Con Lechon (P130). It’s just delish. 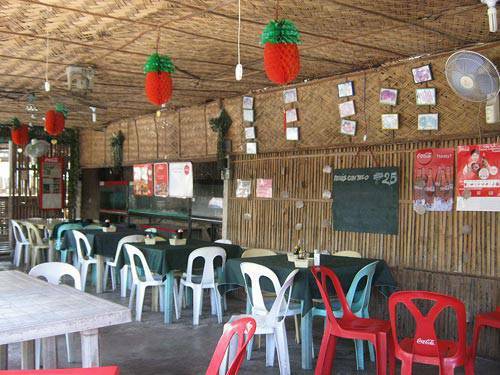 Panciteria ni Edong is the quintessential pinoy roadside eatery-alfresco, woven walls, monoblok tables and chairs, and good home-cooked dishes. It’s a good thing that it’s situated inside Midtown subdivision or it could get really noisy and dusty. 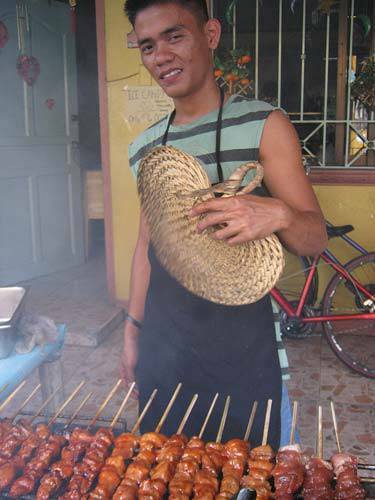 This panciteria is much loved by the locals for their short orders of pancit. But what we think makes it special is that you could inquire about customized shoes. The owner is also the owner of ’Japs shoes’ and they could whip up a pair custom-made to your specifications. 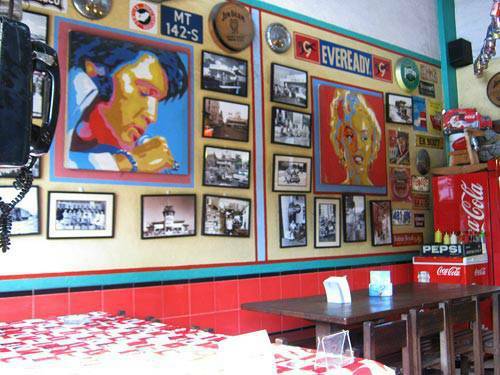 Open daily from 11 a.m. to 2 p.m. and 4 p.m. to 11 p.m.
Boyong’s is smack-dab, open-air-exposed in the middle of E. Dela Paz St, one the busiest roads in Marikina, so if you’re easily annoyed by jeepneys and tricycles, just make a pass. This down-to-the-basics eatery seems to only have one thing in mind-to serve yummy affordable food. That’s why it’s also one of the most popular eateries in the whole of Marikina, especially since it’s in the middle of all jeepney routes going to the public market. Open from Monday to Saturday 7 a.m. to 9 p.m. The plethora of memorabilia, old road signs, and cola merchandise at Mama Chit’s certainly charmed us. We just can’t get enough of all that kitsch! 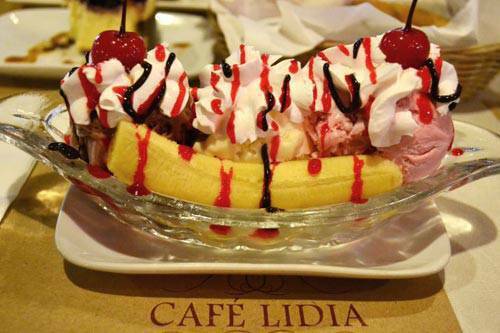 Their food is as varied as the décor with cheeseburgers, sandwiches, pasta, and deserts on their menu. Keep with the seeming American diner mood and order a Mama Chit’s Cheeseburger (P85) with a plate of Potato Wedges (P75) on the side. You can't visit Marikina and leave without a pair of shoes! 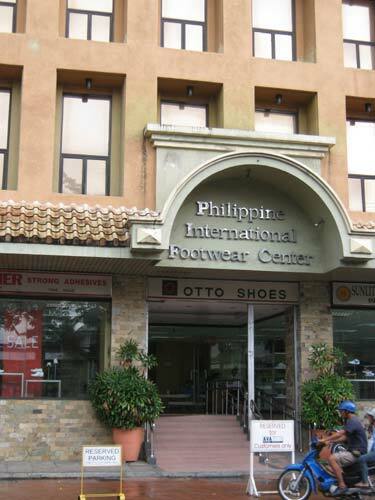 The ground floor of the colossal Philippine International Footwear Center houses everything footwear related, from shoe materials like leather to actual shoes. You can score a pair of ladies' shoes at P399 or boots at P999.75. 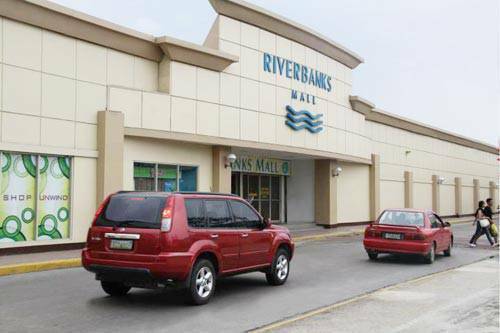 Riverbanks Mall is currently reinventing itself as a major outlet shopping center. International brands like Guess, Nike, Adidas as well as local brands like Folded and Hung, BNY and Hammerhead jeans have opened their own outlets stores in the complex. We were going through the racks and found a P299 T-shirt and a pair of P999 pants at Guess. Runners can make a dash for some Nike gear as we've spotted a Dri-fit top at P1, 186.50 and a pair of rubber shoes at P3,006.50. Pay 50 at the door and get to take a look at the famous shoe collection of former first lady Imelda Marcos. Also on display are clothes of the former first couple, portraits, and snapshots with legendary figures like Chairman Mao Tse Tung, Cuba's Fidel Castro, and American aviator Charles Lindberg. Oh, and there's also a series of dioramas depicting the early days of footwear-making. Soak in all that love, romance, and happy endings at the Our Lady of the Abandoned Church. 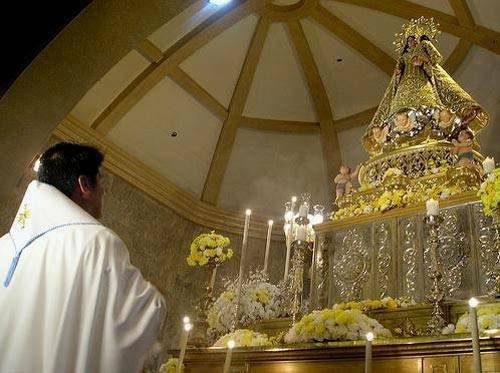 Despite having undergone a major facelift recently, the Nuestra Senora de los Desamparados Church (Our Lady of Abandoned Church) still managed to hold on to its old world charm and is still the heart of the town. Spare a couple of hours during the weekend and bear witness to couples getting married...one after the other. 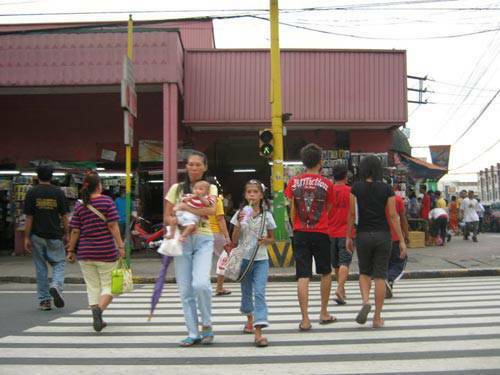 Defying the typical town market design, the Marikina Market Mall is actually a grid of roofed streets emanating from the main market building. Sellers have set up shop at street level, resulting in long lines of shops and stalls to choose from. The said design also made it possible to do some marketing come rain or shine. Do spend a couple of minute walking around, seeing locals shop, or just chatting along its dry clean walkways.